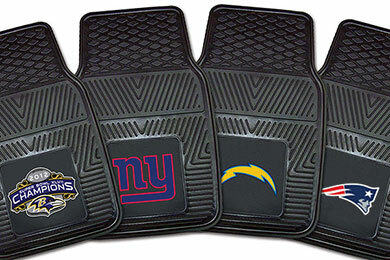 FANMATS 8768 - FANMATS NFL Vinyl Floor Mats - FREE SHIPPING! 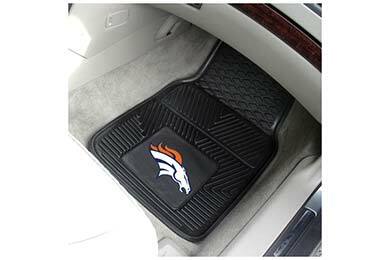 My husband is a HUGE Broncos fan so when we bought the new 2015 Chevy Colorado truck, we just had to have the appropriate floor mats. We decided to purchase them from AutoAnything because they not only asked for the year, make and model of our vehicle but offered them at a very reasonable price. The mats arrived when promised and they were a perfect fit; their appearance was accurately represented on the website and they are very sturdy and well made. We are extremely happy with our purchase. Fanmats are durible. a good heavy floormat. would reccomend them to anyone. I like the floor mats very much. They are durable and just what I expected. I would recommend these for any fan out there. Reference # 758-162-862 © 2000-2019 AutoAnything, Inc.